US President says he will receive a report on who the US government believes killed Saudi journalist. 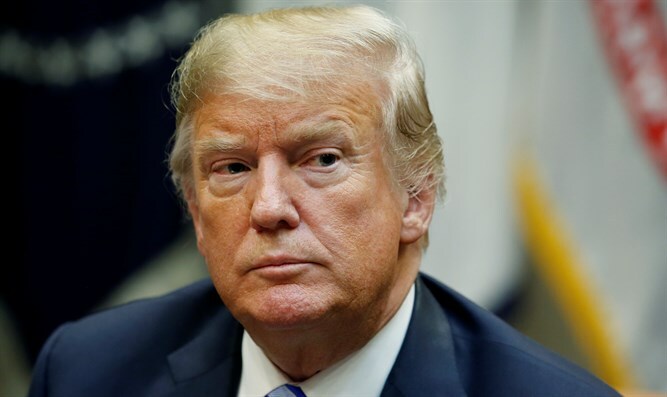 US President Donald Trump, on a trip to California, said on Saturday that the killing of Saudi journalist Jamal Khashoggi “should never have happened”, Reuters reported. Trump added he will receive a report on Tuesday on who the US government believes killed Khashoggi and what the overall impact of his murder is. His comments followed reports claiming that CIA assessment had determined that Saudi Crown Prince Mohammed Bin Salman ordered the killing of Khashoggi. Earlier on Saturday, the State Department clarified the government was still working on determining responsibility for the death of Khashoggi. "The United States government is determined to hold all those responsible for the killing of Jamal Khashoggi accountable. Recent reports indicating that the US government has made a final conclusion are inaccurate. There remain numerous unanswered questions with respect to the murder of Mr. Khashoggi. The State Department will continue to seek all relevant facts. In the meantime, we will continue to consult Congress and work with other nations to hold accountable those involved in the killing of Jamal Khashoggi,” said State Department spokeswoman Heather Nauert. “The US government has taken decisive measures against the individuals responsible, including visa and sanctions actions. We will continue to explore additional measures to hold those accountable who planned, led and were connected to the murder. And, we will do that while maintaining the important strategic relationship between the United States and Saudi Arabia," she added. The murder has strained ties between the US and Saudi Arabia, which are close allies. Trump has derided the killing as "one of the worst cover-ups" in history. In response to the killing of Khashoggi, the US recently revoked the visas of 21 Saudi nationals implicated in the crime. Secretary of State Mike Pompeo has also made clear to the Saudi crown prince that the US will hold accountable all involved in the killing of Khashoggi.